Data can tell us a lot about how students are performing and in what areas they still need work. However, to uncover this kind of information, we need to be able to assess the data based on what it actually represents. 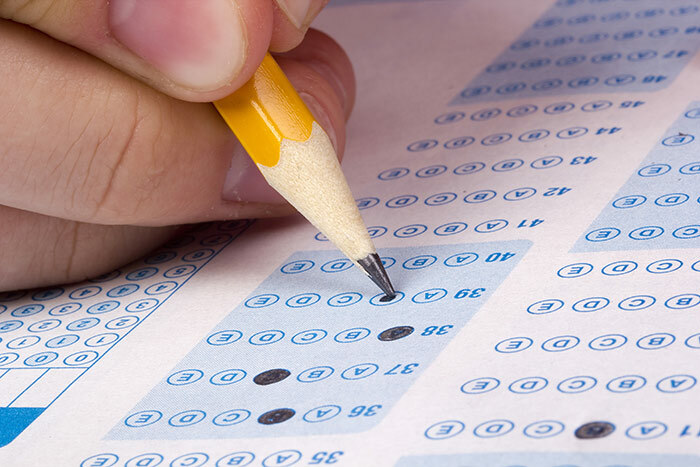 In this post, we’ll cover some of the clues that data can tell us and how you can use these clues to improve your students' scores. The Next Generation Science Standards (NGSS) mark an innovation in science and engineering instruction. 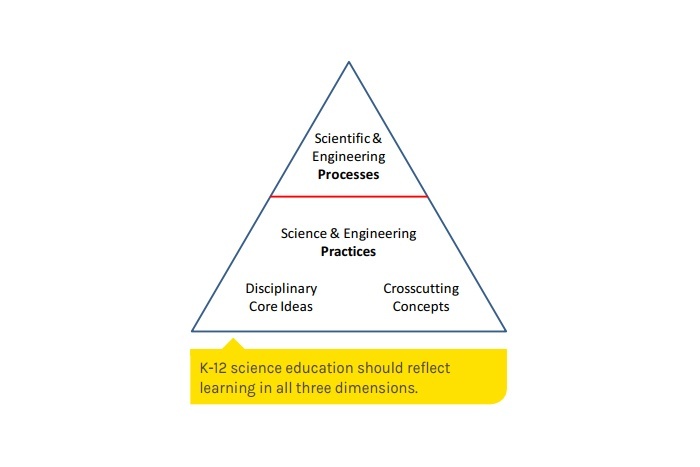 By extension, this means that there needs to be an innovation in classroom resources as well, to stay aligned to NGSS. Curriculum, professional development, and hands-on materials are the key components that make an effective STEM learning environment possible. 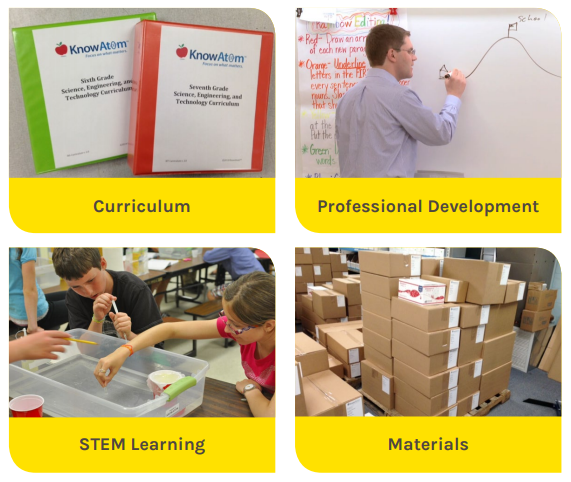 So, you might be wondering, how does KnowAtom work to transform STEM education? Here’s our basic model: We take everything a student needs to experience and make it the totality of a school’s curriculum. The experiences are developed from the Next Generation Science Standards so this doubles as a quick and easy way for schools to engage students, achieve performance on science standardized testing, and align the science and engineering instruction to NGSS. We change the way educators interpret STEM through professional development. It's important to understand the the difference between traditional models of instruction and the mode of inquiry NGSS is built on. This post looks at the transition from the widely-used traditional model of teacher as a sage who distributes knowledge and students as sponges who recall that knowledge, to a next generation model where teachers act as coaches, and students as scientists and engineers in their own right. In order to meet the goals of the Next Generation Science Standards, there are five key pivots to consider. These are each innovations that your curriculum will need to reflect. 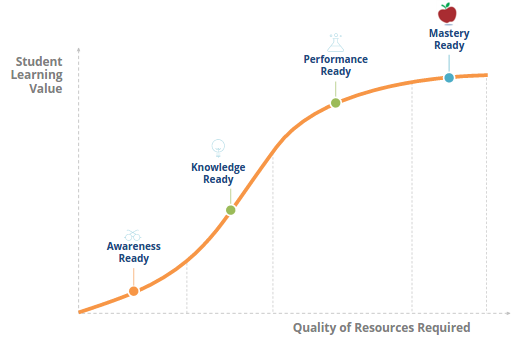 Readiness levels speak to where a student is in terms of being able to access and work with curriculum content. Awareness ready means they are mindful that the subject exists and of what scientists and engineers do; knowledge readiness means they have a framework of understanding about it; performance ready means they can interact with the material in the same context they've already learned; and mastery ready means they can take that material and use it creatively, evaluatively and analytically in any context. It is crucial to understand that the NGSS represent a true innovation in science standards. 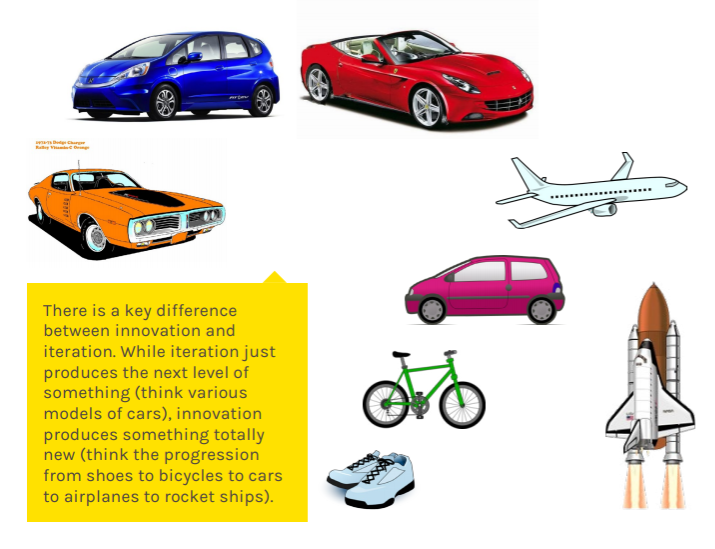 Innovations aren’t iterations; they don’t simply make an existing model a little better. These innovations change science teaching and learning.